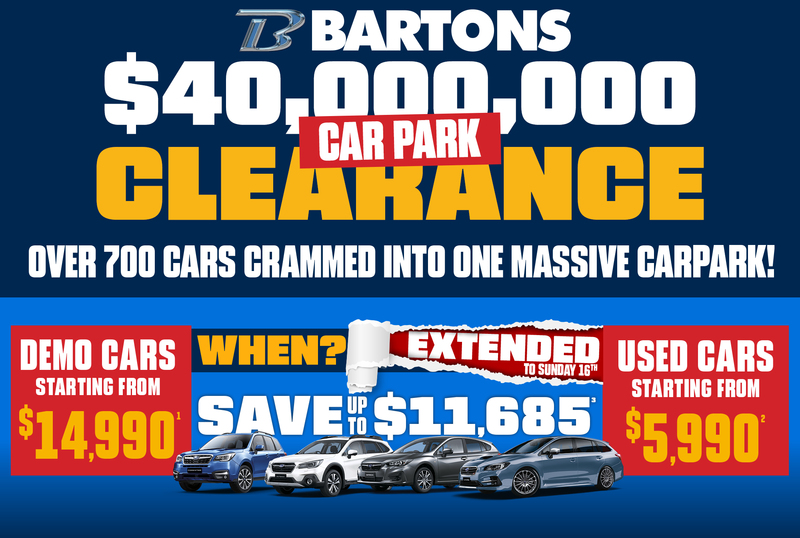 Bartons Wynnum only.All offers valid from 7 December 2018 to 16 December 2018 only. All vehicles must be delivered by 31st December 2018. 1) Price based on 2018 Hyundai Accent Sport RB6, SN:420290352. 2) Price based on 2004 Toyota Echo NCP10R, SN:E8917 3) Savings based on 2018 Mitsubishi Pajero GLX NX, SN:J000163 4) Applicable to selected demonstrator vehicles only. 10 year warranty inclusive of 5 year manufacturer warranty plus 5 year extended warranty. 5) Savings based on 2018 Nissan Pathfinder Ti R52 Series II, SN:2434457 6) Savings based on 2018 Mitsubishi Pajero GLX NX, SN:J000163 7) Savings based on 2018 Hyundai Santa Fe Highlander TM, SN:420285156 8) Savings based on 2018 Subaru Levorg 2.0 GT-S V1, SN:G06633B 9) Vehicle must be QLD registered and drivable. 1 Trade-In per transaction. 10) 3 year/km warranty (whichever occurs first) depending on vehicle brand specified, does not apply to all brands from date of vehicle registration. See Bartons for more details, conditions apply. 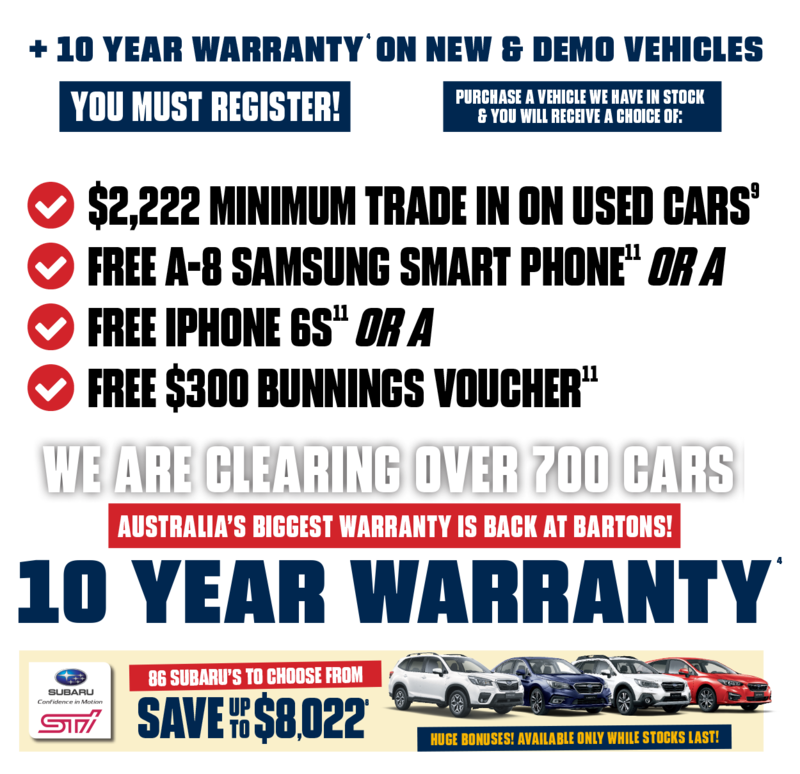 11) Free phone & bunnings voucher offer only applies to vehicles in stock at time of sale and vehicle must be delivered by 31st December 2018.